For limited partners, particularly those representing public pensions, it’s crucial to avoid any appearance of impropriety. Generally, that means refusing lavish gifts or all-expense-paid trips from general partners in funds they’ve backed or are reviewing. For others, it extends as far as turning down a cup of coffee from a GP. At last month’s PartnerConnect LP-GP Summit conference in New York , several limited partners representing public pensions and private institutional investors shared their experience with the spectrum of LP ethical guidelines. For most, it appeared, the drink or meal at a firm’s event, such as an annual meeting, was OK. 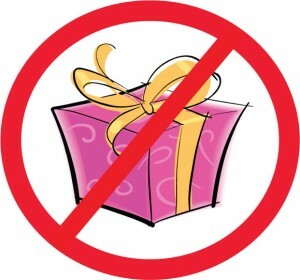 Some institutions put a cap on the maximum acceptable value of any “gift” from a GP, for instance at about $200. For others, however, the cap is more like $0. LPs said they also have to be careful about transportation. Accepting a town car ride from a GP to a meeting may be convenient. But it can also create the wrong impression. Plane rides, meanwhile, are even more troublesome. For instance, a scandal at the California Public Employees’ Retirement System a few years ago involving investment staff who accepted rides on GPs’ private planes resulted in embarrassing headlines for the mammoth state pension fund. No one wants to see that scenario repeated at their employer. By and large, LPs said, general partners tend to be cognizant of their ethics concerns. One LP, however, questioned whether a large buyout fund recently took things a bit far by asking investors to fill out a form stating whether or not they accept gifts. The “gift” turned out to be a canvas bag with the firm logo, which was hardly the sort of offering that would raise questions of ethical compromise.